1) Mention what is the responsibility of a Data analyst? 2) What is required to become a data analyst? 3) Mention what are the various steps in an analytics project? 4) Mention what is data cleansing? 5) List out some of the best practices for data cleaning? 6) Explain what is logistic regression? Logistic regression is a statistical method for examining a dataset in which there are one or more independent variables that defines an outcome. 7) List of some best tools that can be useful for data-analysis? 8) Mention what is the difference between data mining and data profiling? Data profiling: It targets on the instance analysis of individual attributes. It gives information on various attributes like value range, discrete value and their frequency, occurrence of null values, data type, length, etc. Data mining: It focuses on cluster analysis, detection of unusual records, dependencies, sequence discovery, relation holding between several attributes, etc. 9) List out some common problems faced by data analyst? 10) Mention the name of the programming framework developed by Google for processing large data set for an application in a distributed computing environment? Hive is the programming framework developed by Google for processing large data set for an application in a distributed computing environment. 11) Mention what are the missing patterns that are generally observed? 12) Explain what is KNN imputation method? In KNN imputation, the missing attribute values are imputed by using the attributes value that are most similar to the attribute whose values are missing. By using a distance function, the similarity of two attributes is determined. 13) Mention what are the data validation methods used by data analyst? 14) Explain what should be done with suspected or missing data? To work on missing data use the best analysis strategy like deletion method, single imputation methods, model based methods, etc. 15) Mention how to deal the multi-source problems? 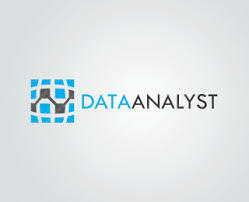 0 on: "Most Important Data Analyst Interview Questions with Answers. "